The Backwoods Engineer: Ya Got a Drone On Ya, Jeh! Ya Got a Drone On Ya, Jeh! 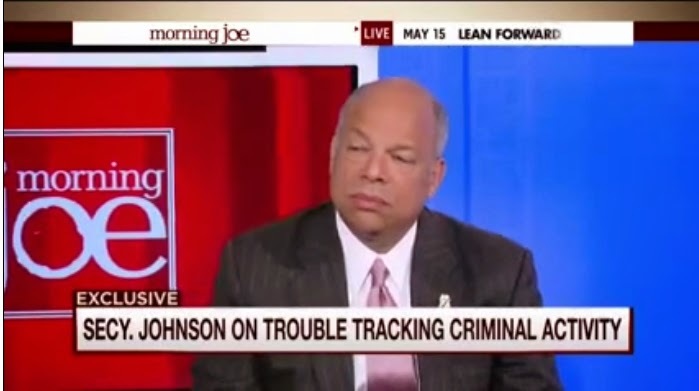 Sub-tyrant* for "Homeland Security" Jeh Johnson is worried about drones. Not the government's drones, you understand, no, in his view, government must have a monopoly on surveillance. No, Sub-tyrant Johnson is worried about drones in the hands of private citizens, Ol' Backwoods suspects, because they could be used to watch him and his fellow sub-tyrants. "When the government fears the people, there is liberty." -- John Basil Barnhill, in a published 1914 debate with socialist Henry Tichenor. DHS chief Jeh Johnson agreed with Chuck Todd that drones could make protecting 2016 presidential candidates more difficult. And, Johnson said as an example, he was a giving a speech recently when he looked up to see "a little drone flying over my head." Yeah, I bet he's so worried about the 2016 presidential candidates, given that (if the Constitution as amended is followed) his regime's power will be coming to an end. More likely, he's worried that the American people will record video-- and broadcast it over the internet -- from their drones, catching various sub-tyrants in acts of tyranny and treason to the Constitution. Drones, like small arms, are a mighty advantage to people faced with government tyranny. If you can record video of the tyranny being done, oppose it with deadly force, and then have a way to broadcast the tyranny far and wide, well, governments worldwide quail in fear of that kind of citizenry. *Sub-tyrant - Ol' Backwoods new term for Obama's minions and enablers of tyrannical statism worldwide. Like it? "I Love Lucy" Seen by Aliens? Uh, No.